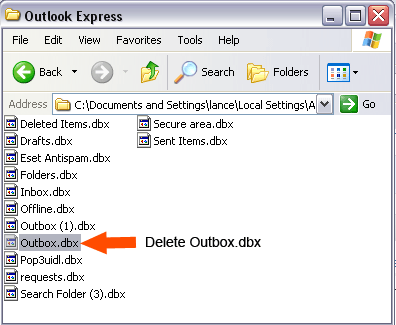 If your encountering the Outlook Express error message stating: “The message could not be sent. There is not enough memory“. Just know that your not alone. I recently needed to address this problem for a client who was simply trying to forward an email with attachments and images totaling over 20MB. As it turns out, somehow his Outbox.dbx became corrupted. In the following simple solution, I’ll show you how we resolved the message could not be sent email problem. I am assuming your using outlook express and Windows XP. If not, these instructions may differ. Navigate to (1) Tools (2) Options (3) Maintenance. 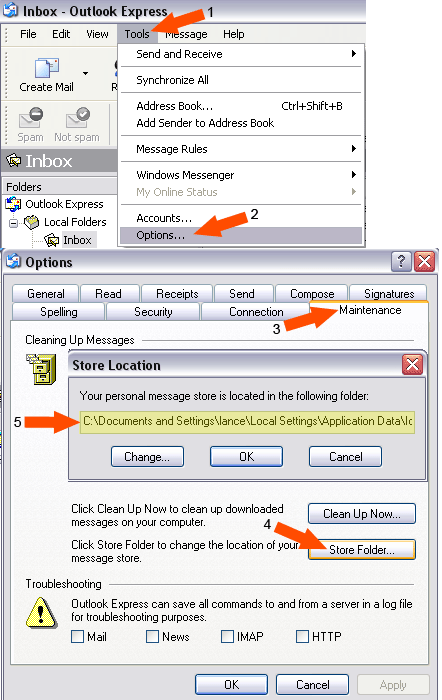 Open Outlook Express and try to send or forward an email. If all goes well, the Error “The message could not be sent. There is not enough memory” should not appear and your email messages sent or forwarded as usual.